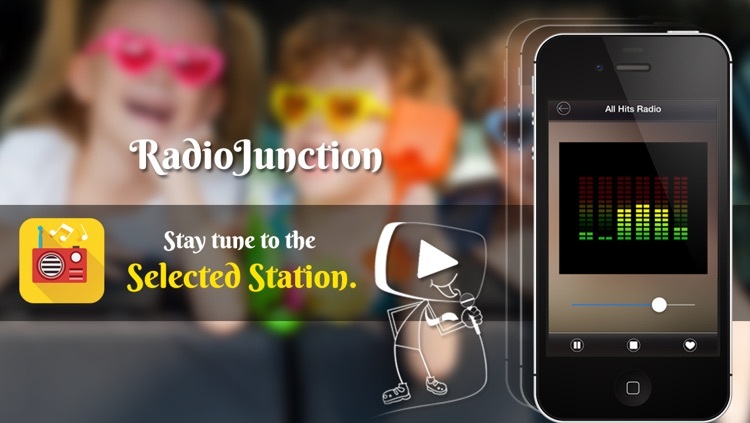 RadioJunction- A Free Online FM Radio App for your iPhone, iPad and iPod. 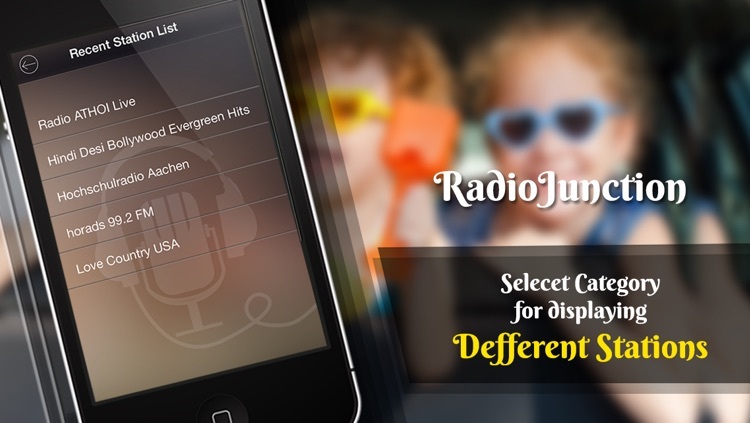 If you are looking for the best free international FM radio app, then download our FREE “Radio Junction App” to iOS Device, and enjoy Radio facility on your apple device. 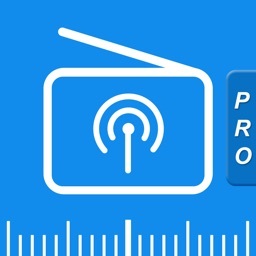 Listen to your favorite online radio stations sitting right in front of your device no matter which country the Radio station program you like to listen. 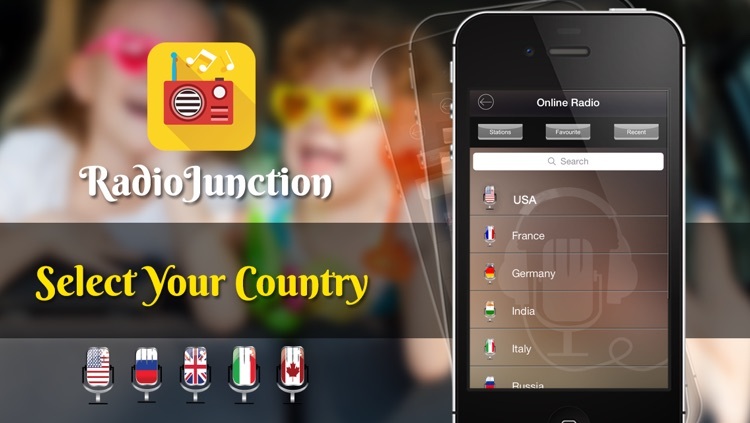 Currently our RadioJunction App supports Canada, France, Germany, India, Italy,Russia, Spain, Switzerland, USA and United Kingdom countries Online Radio Stations. 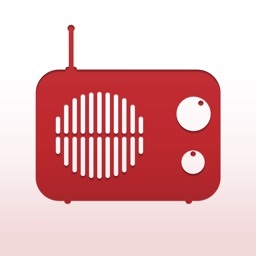 Our radio app for iPhone, iPad and iPod is designed keeping user in mind! so you’ll love to use our radio app once you start using it. You can get start with this app immediately without guessing what this, what that. Choose your Favorite Radio Stations by choosing Country and by choosing Category of Radio Station which you would like to listen. Liked some Radio Stations? Add/Remove them to “Favorite” by clicking on the Heart icon on that FM station which you are currently playing. To remove any added radio stations from favorites list just swipe from right to left, you will see Delete option. Easily listen/open/play your favorite online radio stations by going to “Favorite” Tab which is available at the Top navigation menu. Forgot which radio channel you played last? and you love to listen last played channel? Don’t worry, just go to the “Recently Played” tab which is available at the Top navigation menu. 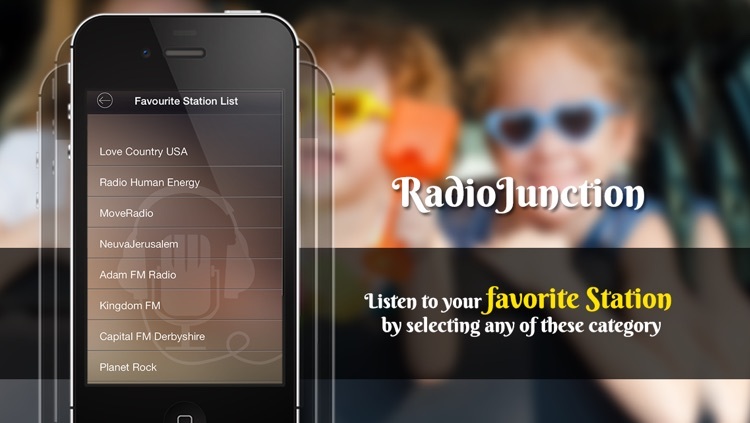 You don’t need to keep opened our app (RadioJunction) to listen Radio channels. You can close the app, lock the phone but still this app keep playing your favorite music radio station in background on your iPhone, iPod or iPad devices; like how we listen music with our default music player. 1. 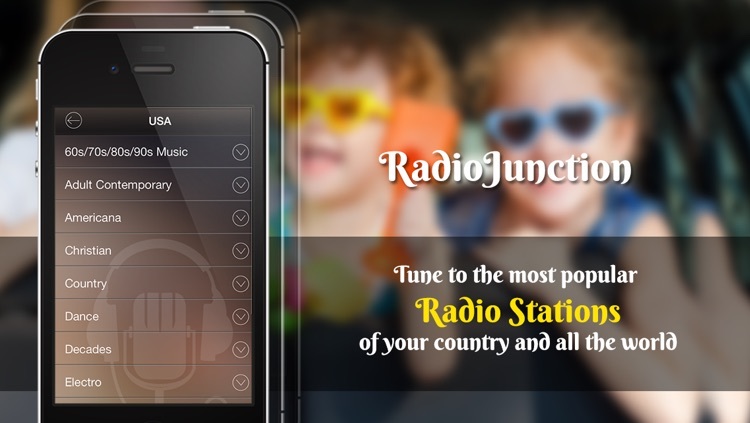 Once you launch our RadioJunction App you will see the list of Countries which is supported with our Radio application. 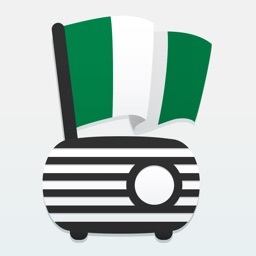 Choose the country with which you would like to listen FM Radio Station. 2. In the next screen you will see Categories of the Radio stations, choose the category which you would like to listen FM radio station and click on that radio station to start Playing radio on your iOS Devices. 3. In some country, for example in INDIA we don’t show online radio stations by category but here you choose FM radio station by Language. 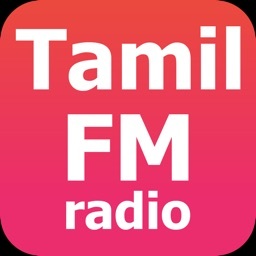 Currently, our online radio app on itunes supports Bangla, English, Hindi, Malayalam, Marathi, Punjabi, Tamil, Telegu and Kannada Language FM Radio stations with this radio app on mobile. 4. You can add your favorite radio station to favorites by clicking on Heart icon on that radio station which you are currently playing so that you can easily access that station when in needed. 5. You can also easily remove radio station list from your favorite list just by swiping form right to left. 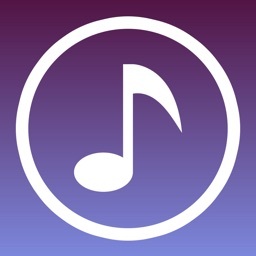 This is the only radio app for iphone, ipod and ipad which is very simple to use and free. 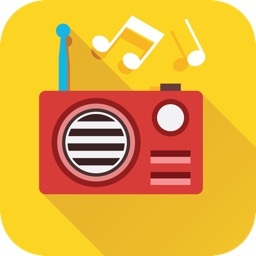 To listen online radio station on your ios device, you need internet connection to stream radio channels on your apple device. Just TuneIn to your favorite radio station and keep listening to your favorite FM music stations right on apple device. If you are thinking apple device don’t have FM Radio option, then download our free FM radio station app and enjoy.